Click the "Contact Us" link on the Home Page. Here is a rare opportunity to own a unique piece of nautical history. This anchor would be a perfect centerpiece for a US Navy Base, Museum, Estate, Marine Center, Yacht Club, or any other publicly viewed property. Based on my research, this anchor is a stocked Admiralty anchor, also known as a Fisherman anchor with a long-shank design. This type of anchor was used by the British from about 1831 to 1860. 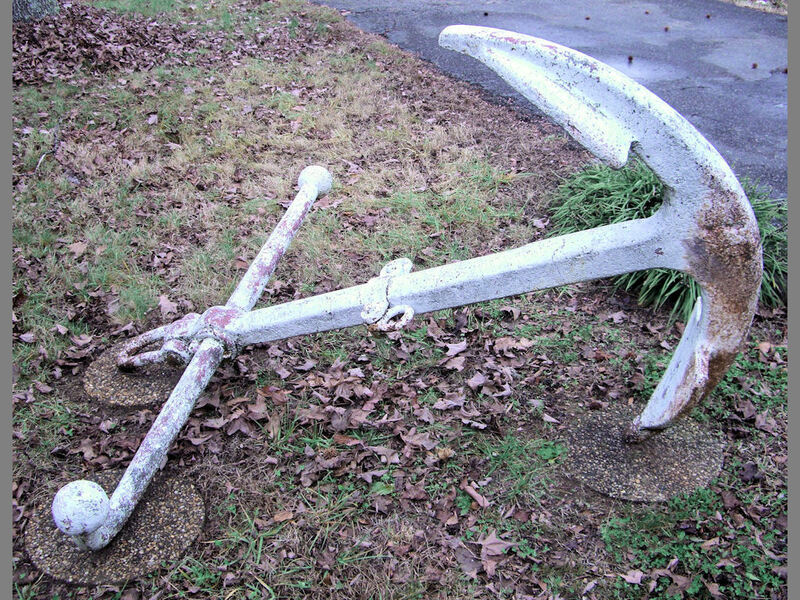 The Charleston Navy Yard displays two similar anchors (though larger) and states that this type of anchor was no longer used after 1850. I purchased it more than ten years ago at an estate sale in King George County, Virginia, near the Dahlgren Navy Base. The owners were selling their estate and moving to Florida. They purchased it many years before from the Dahlgren Navy Base at a public auction. My best estimate is that it came from a wooden US Navy ship and was used about 1850. Size: As seen in the photos, the longest dimension is 80 inches long. The width, from ball to ball is 69 inches. The height from the ground to the top of the other fluke is 52 inches. The estimated weight is between 1100 and 1400 lbs. 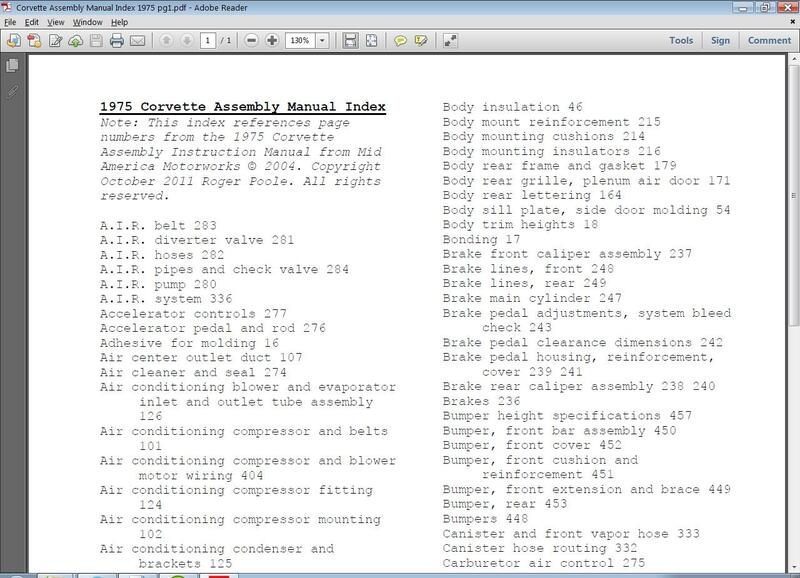 This is an extensive index for the 1975 Corvette Assembly Manual. The index is in a searchable format (Microsoft Word .docx file). You may also receive a searchable *.pdf file if preferred. - Quick access to the correct page number of the assembly manual. - Prevents you from having to page through the entire manual every time you need to find something. 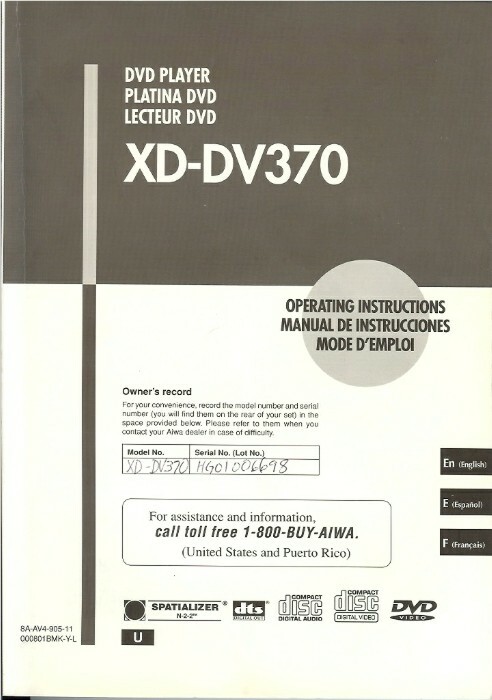 Owner / operator manual for AIWA DVD Player model XD-DV370 operating instructions. In very good condition. 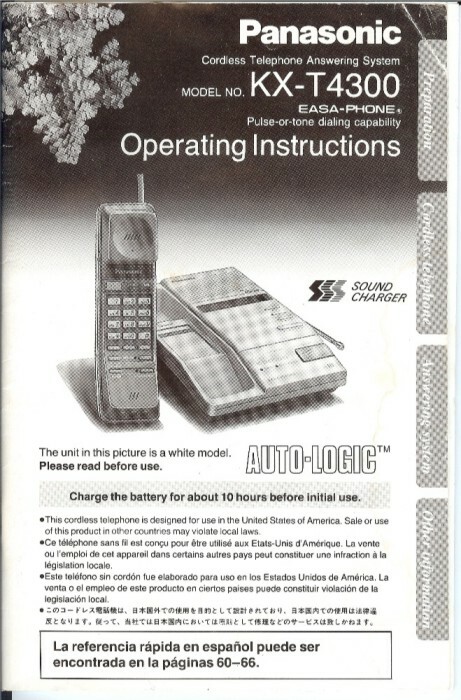 User manual for Panasonic KX-T4300 Easa-Phone Cordless Telephone Answering System. Good condition.